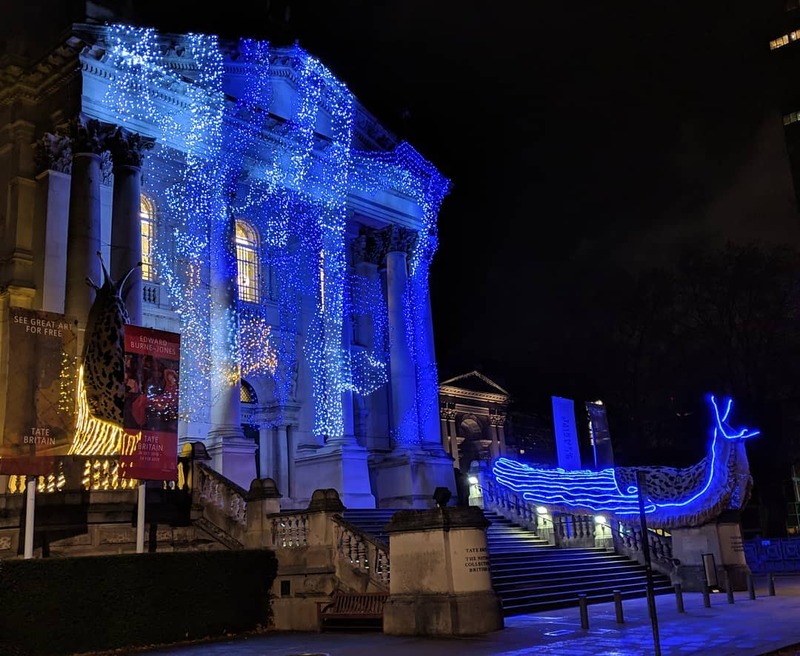 Two giant LED slugs have taken pride of place outside the Tate Britain for the winter. 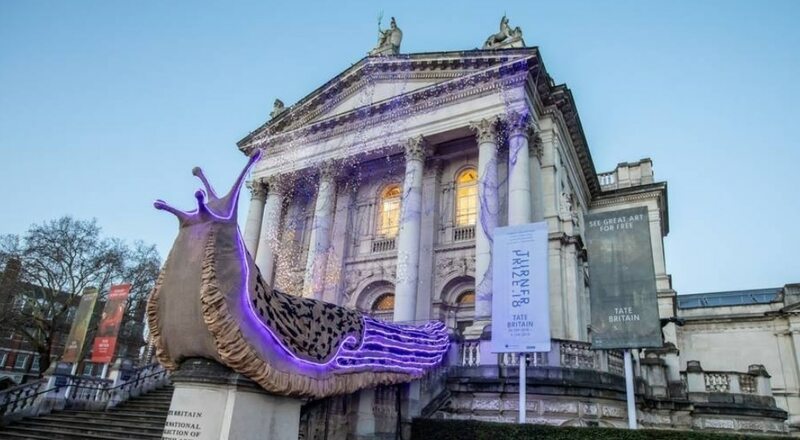 Inspired by a David Attenborough documentary, artist Monster Chetwynd has designed two giant festive slugs for the Tate Britain’s annual winter commission. It’s funny, “festive” and “slugs” are two words I never expected to write in the same sentence. At 33ft (10m) in length, the beasty creatures are surprisingly beautiful. Even their “slime” leaves a gorgeous trail of blue and white fairy lights across the front of the building. Artist Monster Chetwynd – who has gone by various different names in the past, including Spartacus Chetwynd and Marvin Gaye Chetwynd – was nominated for the Turner Prize in 2012. But her latest work was inspired by David Attenborough’s 2005 documentary, Life in the Undergrowth. She was particularly interested in the mating ritual of two leopard slugs who dangled from glittering threads of slime, whilst literally glowing blue. The sculptures are made of compostable materials and illuminated by LED rope lighting. The installation came about from Chetwynd’s interest in alternative energy sources, and the possibility that bioluminescence could one day be used to light up buildings and streets. While the slugs are stunning to look at, they don’t ignore today’s serious environmental concerns and challenges. The slugs will guard the Pimlico gallery until February 28, 2019. 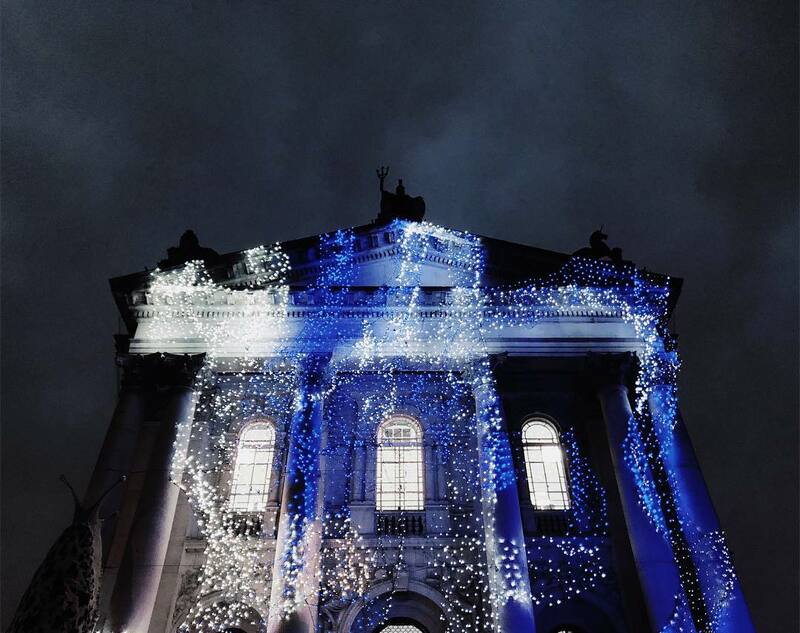 For more info about what’s on at the Tate Britain, head to the website.